I scored these yummy retrofabulous fabric fat quarters at JoAnn Fabrics a while ago and had them hoarded away in a secret drawer until yesterday. 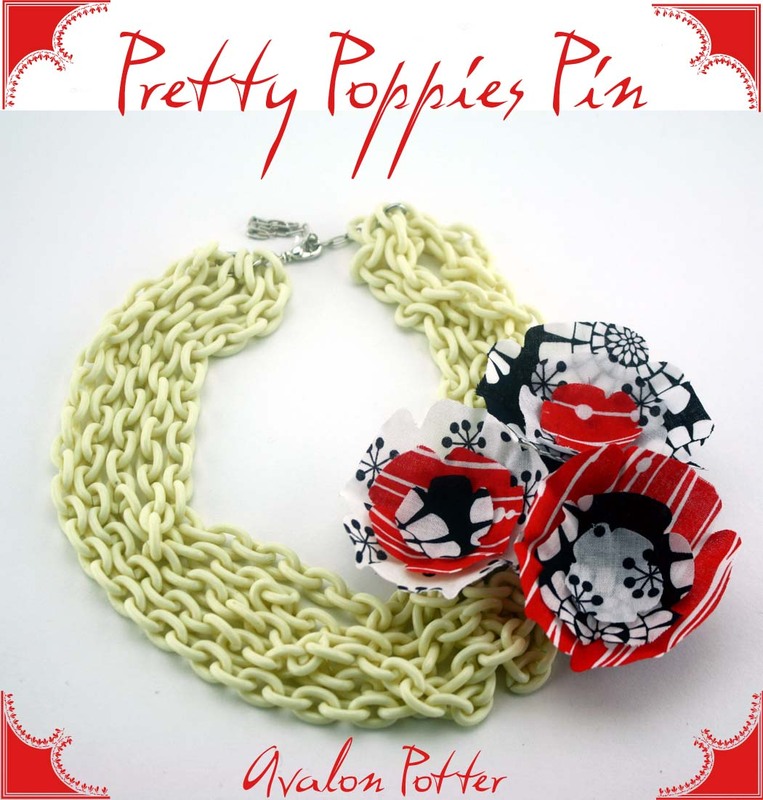 Avalon ferreted them out and turned them into this fabulous pin/necklace! How cool is this? The chain is vintage celluloid and had been sitting in a box for several years until she dug it out and added the pin. 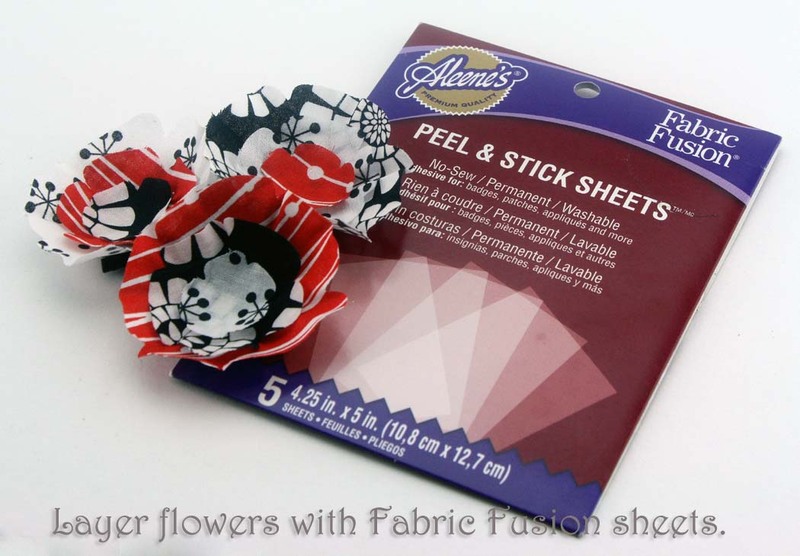 Simply fabulous and so fun to make using Aleene's Stiffen Quick and Fabric Fusion sheets. Teens will love turning fabric, jeans and t-shirts into these stylish pins they can pop on purses, jackets, chains...whatever they like! I'm thinking of making a smaller version to festoon my flip flops! Die cut your flowers making one size of each layer in each flower, this gives each flower a different configuration of layers. 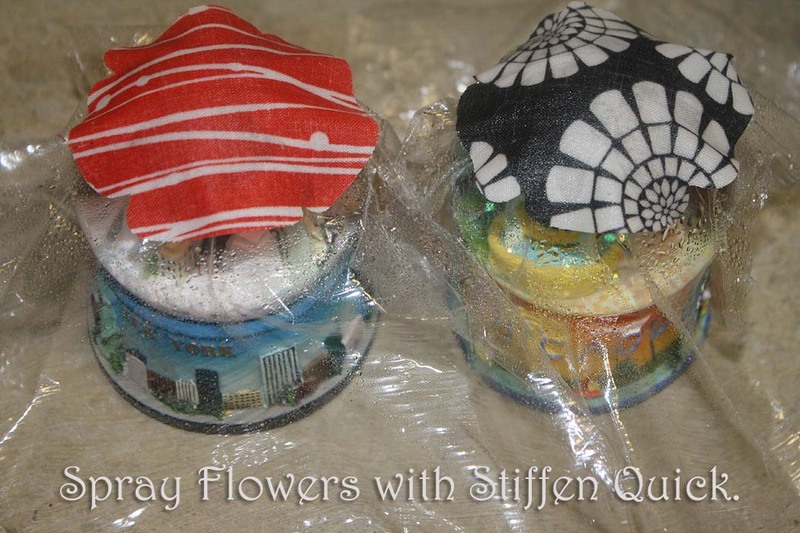 Spray flowers with Stiffen Quick and allow to dry over your plastic wrap covered round surfaces. 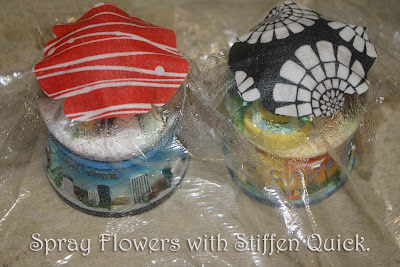 Keep adding layers of spray until the flowers are the stiffness you'd like them to be. Stack flowers together adhering layers with Peel and Stick sheets. Adhere flowers to a felt base with Peel and Stick sheets, cut felt to fit bottom of flowers and prevent any felt from peeking out of the sides of flowers. 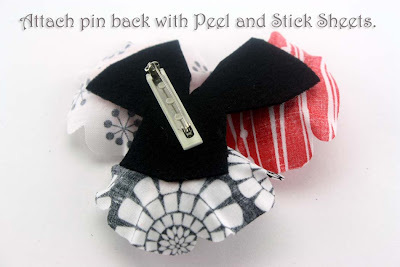 Adhere a pin back with Peel and Stick sheet. Attach your flower pin to anything you like! So cute, Avalon!! I'm pinning it!